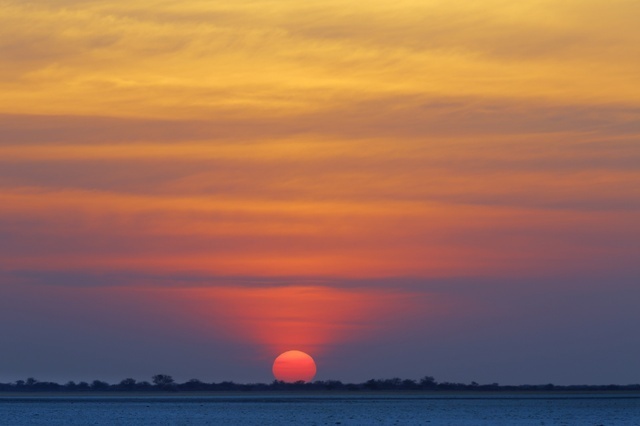 About two million years ago, there was a vast body of water in the middle of the Kalahari Desert, called Lake Makgadikgadi. It's believed to have covered an area of about 80 000 km² to a depth of up to 30 metres. As the millennia passed, climate change and cracks in the earth’s crust led to this lake drying up. This is turn, led to the formation of a series of smaller pans separated by sandy desert and rocky islands, covering 10 000 km². 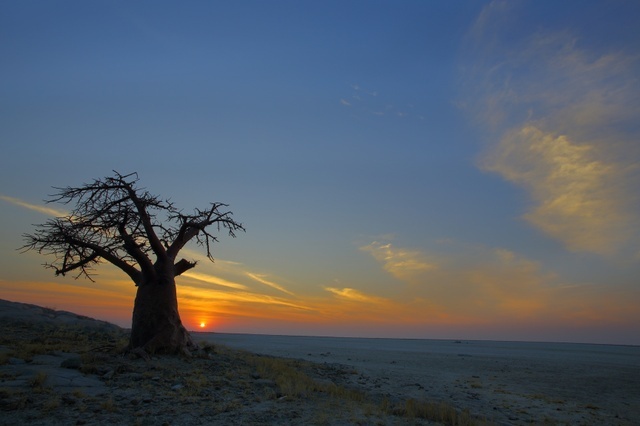 Today, these are what's known as the Makgadikgadi Pans. The largest are Sowa (Sua) Pan, Ntwetwe and Nxai. Baines’ Baobabs are located at the smaller Kudiakam Pan. The lesser-known Kaucaca Pan is found just northwest of the A3 near Nata. Park entry fee BWP120pp & BWP50 per day foreign registered vehicle. (Rate info updated Jun-17). Wildebeest. Zebra. Lion. Cheetah. Hyena. Giraffe. Gemsbok. Eland. Travellers will have to do their shopping in one of the villages; here you’ll find basic supplies and some frozen meat. So pack some pre-cooked meals. At the time of writing there was a ban on bringing in chicken from SA due to avian flu. Travelling to the pans from the south, Letlhakane is the best place to stock up with supplies and the last place to refuel. Very limited supplies are available in Kumaga Village, near the entrance to the Makgadikgadi Pans National Park where there’s a small supermarket with basic supplies and frozen meat. Fourie’s Butchery in Nata will vacuum-pack and freeze pre-ordered meat. There is no longer fuel in Gweta so travellers are advised to fill their tanks in Maun, Nata or Letlhakane before heading into the pans. (2018). Park entry fees are payable to the Department of Wildlife and National Parks (DWNP). You can contact them at +267 39 714 05 / +267 31 807 74 or pay the entry fees at the gate. When travelling from Maun to the Makgadikgadi Pans, no uncooked beef may pass the Makalamabedi Veterinary Control Gate. break through the thin dry crust and become hopelessly stuck in the underlying mud. are deep sand, so one should deflate tyres and engage 4WD and diff-lock.